So as a final update to all that have followed me over the years in my quest to reclaim my italian citizenship who fell into the 1948 rule I have completed the journey. My birth record (Atti Di Nascita) was received several months back and with that in hand registered with AIRE through the NY Consulate and made my passport appointment. My passport appointment was this week and I now have my Italian passport in hand! This journey, as I have reported, could not have happened without the help of Luigi Paiano who has allowed myself and over 80 cases at this point, be successful! Excellent! Congratulations! Thank you for posting your update to the case. As I told you before, it helps us all to know how things are going and what to expect regarding our own cases! At least, it helps me for when my time to do all that stuff comes. I appreciate your sharing! Congrats, again. Congratulations! Any advice for a father and his daughter seeking italian citizenship? We must also beat the 1948 rule as my father was born in 1948 to his italian mother in California. Did you have to hire a lawyer to beat the 1948 rule? I have read the entries herein and am confused; I thought the 1948 rule meant that no matter whom my mother married, Italian or not, I could not trace my ancestry via her line since I was born in 1945. ALl 4 of my grandparents were born in Italy but I can only use the info on paternal grandfather due to the usual rigmarole re females. I have more info on maternal grandpa but I now am having to go through many hoops to obtain info required for the one individual, Ernesto Giordano, that provides my right to Italian citizenship.For one, I know exactly what village my mom's parents were born but am not certain re dad's parents, Salerno, but the city, the region and then what comune. Any advise as to the best way to search this? Grazie ed in bocca al lupo a tutto! As the law reads, a woman could not pass citizenship to her child before 1948. This has been successfully challenged in Italian courts, but to obtain citizenship in this manner, you would need to hire an attorney. This will add to your costs, but the odds are good. asg, fortunately for you, since both sides are Italian you should avoid using the 1948 method because not only is it more expensive but future generations will also not be able to be recognized through you. 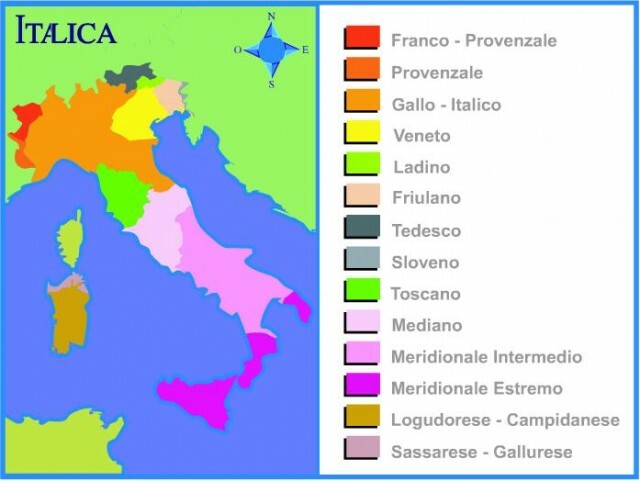 If you know your paternal grand-father's name and have some idea of the region he came from, you should be able to track down the correct comune. It will take some detective work on your part but will work out better in the long run. If it turns out that your ancestor was naturalized before your father was born, then you can resort to using the 1948 method but with the restrictions I've already mentioned above. jennabet wrote: asg, fortunately for you, since both sides are Italian you should avoid using the 1948 method because not only is it more expensive but future generations will also not be able to be recognized through you. I agree with the first part of this statement. If it is at all possible to track down your paternal line, it will be a less expensive way to go. However, if you are unable to find the documentation you need for the paternal line, you will likely find it easy, albeit more costly, to use the maternal line. Should you go this route, future generations WILL BE ABLE to claim citizenship through your line. These lawsuits are used to obtain jure sanguinis recognition, and they establish citizenship from birth, a fact I believe doncariddi will confirm. Doncariddi did NOT naturalize; his jure sanguinis citizenship was recognized through his maternal (before 1948) line. asg, having recently spoken PERSONALLY on the phone to Luigi Paiano in Italy where we both live, I can confirm that your descendants will NOT be recognized through you if you file a 1948 lawsuit. Mr. Paiano informed me that descendants would need to join your lawsuit at the time of your filing at an additional cost of 800 Euro per person in order to be recognized along with you and at the same time as you. Additional descendants would not be able to come along later and claim juris sanguinis recognition from someone who gained citizenship through a 1948 lawsuit. Instead, they would also have to start all over and initiate their own lawsuit. The filing of a 1948 lawsuit is not now and has never been included in any juris sanguinis citizenship law. It's an entirely separate process which the Italian courts sometimes allow but there is no guarantee that you will win as cases won in Italy do not take precedence. I spoke to Mr. Paiano because my companion, who was recognized juris sanguinis in 2011 has one older sibling who did not qualify due to the 1948 rule. You should try to avoid this because as I said earlier, you are fortunate that both sides of your family are Italian. I might also add that my personal circumstances were like your own. My mother's father was not naturalized until 1960 but I was born before 1948 so disqualified from using her line. Fortunately, my father is also Italian and I was recognized through his line in 2001 and have been residing in Italy ever since. Since doncariddi has actually been through the process, perhaps he can expand on this. I think Mr. Paiano may have been referring to adult descendants. An Italian citizen registered in AIRE would simply need to register the birth of his children at the consulate. The consulate doesn't ask how you obtained your citizenship; it simply ascertains that you possess it. Minor children of Italian citizens are also italian citizens. It has been my experience that most people applying at consulates for juris sanguinis recognition are NOT minors. In addition, the manner in which citizenship is acquired (birth, juris sanguinis recognition, naturalization or result of a successful 1948 lawsuit) is ALWAYS filed with the Minister of Interior and then the comune depending on when documents arrive and are transcribed. Therefore, consulates don't have to ask, as they ALWAYS concur with the Comune and/or Interior Ministry before citizenship is acknowledged. Consulates do not have the authority to make their own rules regarding citizenship. Absolutely true. Consulates must follow the law, and the jure sanguinis law states that minor children of Italian citizens are also Italian citizens. NOWHERE IN THE LAW is it stated that there are exceptions based on the manner in which citizenship is acquired. Obviously, adult children of Italian citizens apply on their own behalf. I agree that most (in fact all) applicants are adults. However, once citizenship has been established, the same rules apply to everyone. There are no distinct categories of Italian citizenship. The same rules apply to all. The same rules do not apply to all. Adult children of naturalized citizens are not eligible for juris sanguinis citizenship. Adult children of citizens that obtained citizenship through a 1948 lawsuit are also not eligible for juris sanguinis -- just to name two exceptions. If you reread my post, you will note that I stated that adult children apply on their own behalf. Once a person is a citizen, no matter how that citizenship is acquired--jure sanguinis, naturalization, 1948 lawsuit--his MINOR children are also italian citizens, and their children will also be Italian citizens. They are all treated exactly the same way in terms of transmitting citizenship to their minor children. That is exactly what jure sanguinis means--children born to Italian citizens are automatically Italian citizens. No exceptions. Bottom line. The child of a naturalized Italian citizen who has not received an Italian passport by age of majority cannot obtain an Italian passport via juris sanguinis. That adult child must also become naturalized. The same applies in the USA. Adult children of naturalized US citizens are not entitled to an American passport. The same situation occurs for the adult child of a 1948 Italian citizen and is not entitled to an Italian passport without filing his own lawsuit. Huh! Didn't I just say that??? Citizenship for adults is treated differently from that for minor children. It is future MINOR children that qualify jure sanguinis. One area of clarification--minor children of a naturalized citizen obtain Italian citizenship when their parent naturalizes. Adult children must naturalize on their own behalf.